Investigators have reportedly traced the spate of cold-blooded murders back 3.7 billion years. EARTH—In a seemingly unstoppable cycle of carnage that has become tragically commonplace throughout the biosphere, sources confirmed this morning that natural selection has killed an estimated 38 quadrillion organisms in its bloodiest day yet. 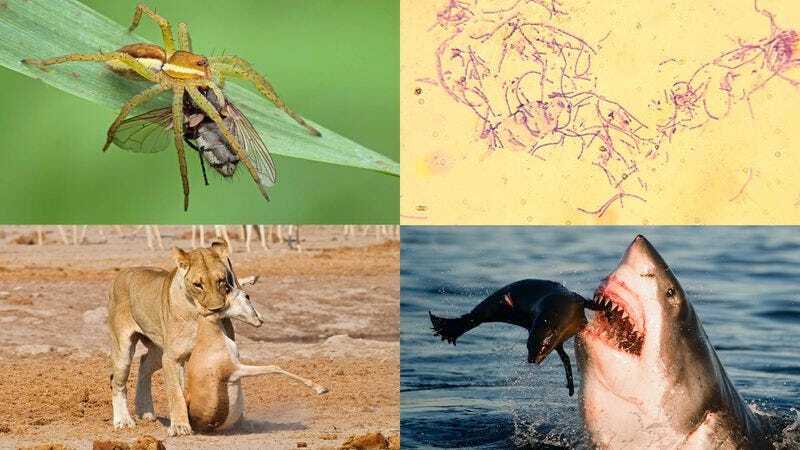 Numerous reports from biomes on all seven continents revealed that over the past 24 hours, the ruthless biological phenomenon had ended the lives of a record 360 trillion animals and 908 trillion plants, along with 36.7 quadrillion fungi, protists, and bacteria. “It is painfully clear this slaughter was perpetrated by a force that holds zero regard for the value of life,” Prum added. According to observers, natural selection left a trail of dead in such conflict-plagued regions as sub-Saharan Africa, the Pacific Ocean, and the troposphere, with the fatalities including slain emperor penguins, coral snakes, and blue-green algae, as well as several swarms of blue-winged wasps, an assortment of hyacinth clusters, 131 orangutans, and various microorganisms. All were reportedly unequipped to escape the terror sweeping their ecosystems. In what many are calling its most grotesque tactic, the killer appeared to single out the most vulnerable organisms—particularly the young and the physically weak—for its murderous rampage, slaughtering them without mercy as other members of their species fled in panic. Reports indicated those who escaped the carnage were left with no choice but to try to move on with their lives and survive even as the ruthless killer continued stalking them. Virtually no species was unaffected by yesterday’s killing spree, experts stated. At press time, sources confirmed the latest onslaught in the natural selection process had claimed the lives of a cottonwood tree, 800 million saltwater amoebae, and a Columbus, OH delivery driver who accidentally ingested a food item containing peanuts.